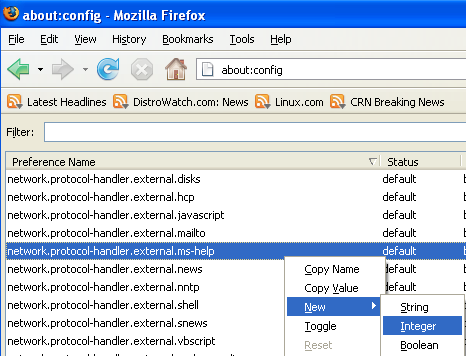 I am providing some Very Useful Tips to speedup your Firefox. Normally it says " false " under value field , Double click it so it becomes " true ". Once you finished this you should see the following screen. Open a new tab. Type "about:config" without quotes into the address bar and hit enter/click Go. Click OK to close the dialog box, then close all instances of Firefox and restart. If your Firefox still uses the same amount of memory, give it a few minutes and it should slowly clear up. If that fails, try a system reboot. Now your Firefox will now be 3 -- 30 times faster in loading pages. Will these changes increase upload speed also? If no, is there a way to? dont use the browser.cache.memory.capacity tip. it really slows down firefox (at least on version 3.6) if you have multiple tabs open and are trying to browse images, 75% of the time firefox will just hang with the loading circle spinning, and never do anything. i changed my MTU in network properties. that made a big diff. I used all the tips provided above with FF6, including the browser.cache.memory and it made a world of difference. I was just about to give up on Firefox because of the speed. Thanks for the tips. Thank you very much, this works !!! I’m so happy right now !!! Where do I change it and to what setting? I have Wireless and Copper connections. I just discovered this page – it looks very useful and very clearly laid out. But I’m running FF7 on Ubuntu 11.04 and this page is dated January 2007. Are these tips still valid? Very nice!Thank you!it works perfect!Thank you very very very very much!You are the man! Could u please let me know how to do this bit and if its important to the desired effect of the process!!! Works just fine on the latest Firefox Beta (9.0). How do I restore my firefox to the time before I did this speed up? Installed Ubuntu 11.10 for the very first time 2 days ago. Love middle button pasting! My Browsing Speed Got Worst, How To Restore? Why does FF ship with default paramaters which make it slow?? It would be nice to have some explanantion of why each of the tips makes FF faster. Hi! I have Ubuntu 12.10 and when I type about:config instead of filter it says search I guess it’s not a problem. By the way, doesn’t changing the default configuration affect the FF security settings? It works even in FF 25. And works fine! Thanks!